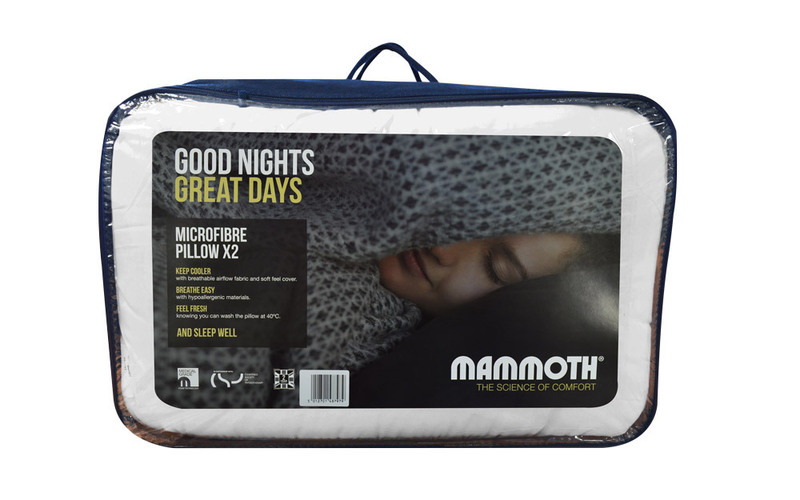 The Mammoth Microfibre Pillow Pair – two wonderfully plump and soft pillows to gently support your head and neck. Featuring a soft-touch, breathable cover and made from 100% hollowfibre fillings, these pillows are hypoallergenic for your peace of mind and a more comfortable night’s sleep. Available with Free Next Day Delivery!